Everyday could be Taco Tuesday in my house. I take my chips & salsa seriously too! Sometimes you need more than just a taco and some chips to satisfy your Mexican food obsession though. That's when it's time to go for the whole enchilada! Inspired by The Pioneer Woman's original recipe, this sauce comes together really quickly with just a few ingredients you probably have in your pantry. Bold prediction: You will never buy Enchilada Sauce in a can again! 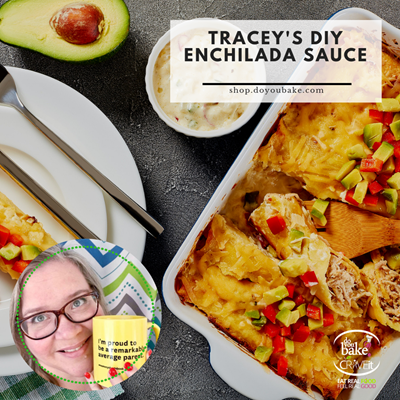 I’ve used it with chicken, beef, and plain cheese enchiladas. It makes a great base for an enchilada soup too. It lasts about a week in your refrigerator or you can make a big batch and freeze it for later. Just reheat it whenever a recipe calls for it! Enough talk, let’s get to the recipe! Add the onions, peppers, and garlic to pan. Cook until soft, about 2 minutes. Next, add the Enchilada Dip & Seasoning Blend and cayenne, bouillon cube and some salt and pepper and cook until the spices start to darken, about 2 minutes. Sprinkle in the flour, stir to combine and cook it for another minute. Slowly stir in the stock and allow the liquid to thicken. Add water and tomato sauce and let liquid come to a boil. Cook until the sauce is nice and thick and reduced by about a third, 5 to 10 minutes.  By Tracey Walton, Master Ambassador with Do You Bake?